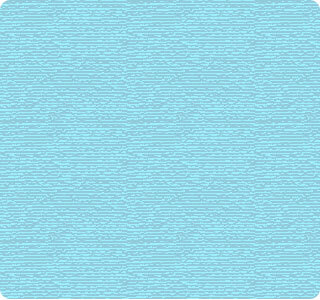 J-Serve is the annual day of service for over 10,000 Jewish teens around the world. J-Serve is a unique project that is run by teens for teens. 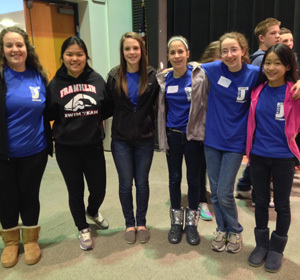 J-Serve joins Jewish teens from across Greater Pittsburgh to learn together and serve the community. Local teens volunteer for a day to help address homelessness, hunger, the environment, inclusion of children with special needs, and much more. J-Serve has been a fixture in Pittsburgh since 2006, and is coordinated in Pittsburgh by the Agency for Jewish Learning with co-sponsorship of the Jewish Community Center, along with community partners from local youth groups, synagogues, and other Jewish organizations. 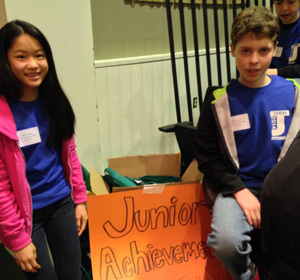 This year, J-Serve was held on March 30, 2014. 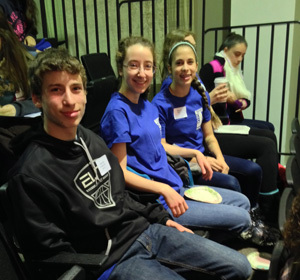 Of those teens eligible to participate from our Religious School, B'nai Abraham's participation was 100%! Plus, our contingent included three graduates. Our teens and parents worked sorting clothes for Molly's Closet at Taylor Allderdice, planted trees in Lawrenceville, made sandwiches for a local food bank, and other mitzvot projects. Circle of Faith is an interfaith organizasstion that reaches out to the LGBTQA community and identifies faith communities that are open and welcoming to them. This year they are sponsoring a program, "Take A Step", in Market Square, downtown Pittsburgh, on Sunday, June 29th, 2-3 PM. Cantor Michal, who has served on the Task Force for this event, will be part of this program. Congregants interested in showing their support are encouraged to attend this event. Click on this link: Take A Step to learn more about the event, or contact Cantor Michal at (724) 287-5806.